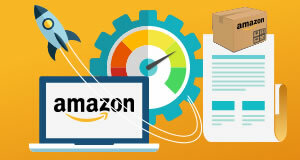 The international ecommerce giant Amazon has launched its Amazon Payments Partner Programme aimed at ecommerce platform providers and developers. 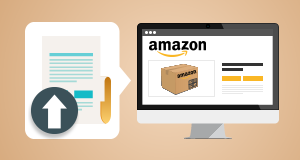 Amazon Payments Partner Programme allows ecommerce companies to use Amazon Payments on their sites, and aims to be mutually beneficial for Amazon and the retailers using the programme. The programme is invite-only and currently only covers the US, UK, Japan and Germany. Ecommerce providers and developers invited to the programme will receive training, technical resources, planning support and account management. The more well-known brands may even be eligible for so-called “co-marketing activities”. 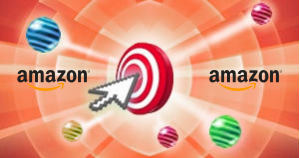 The launch means that Amazon is directly competing with the likes of other online payment providers such as PayPal. The social payments company Circle has expanded to the UK. Circle allows users to send money to one another. It works across borders and does not charge users any fees. At present, it covers three currencies (US dollars, UK pounds and Bitcoin) and it plans to expand to cover Euros later this year. It has said that it will launch in the European Union gradually, rather than in all countries at once, although it has not yet revealed which countries will be targeted first. There are similar social payments platforms in China, such as WeChat Pay and Alipay, but there are currently no such apps in the West that have gained significant popularity, something that Circle describes as a huge opportunity. The telecoms company Orange has announced that it will invest 75 million Euros in Africa Internet Group. Africa Internet Group owns some of the most successful digital companies in the African continent, including the ecommerce site Jumia, the hotel booking platform Jovago, the jobs site Everjobs and the transport app EasyTaxi. Smartphone and tablet use is surging in Germany, according to research by BurdaForward. The study found that almost 80% of Germans have a smartphone and 46% have a tablet. These devices are being used extensively to access the internet, with 84% of smartphone owners saying that they used their device every day to surf the web. The number of people who said they used their tablet to access the web every day was also high, at 62%. Users tended to use their devices for prolonged periods of time, with 35% of smartphone internet users spending over an hour online on their device every day, with this figure jumping up to 42% amongst tablet internet users. Ecommerce is a popular activity for German smartphone and tablet users, with almost 40% of smartphone users and 57% of tablet users having bought something online using their device. 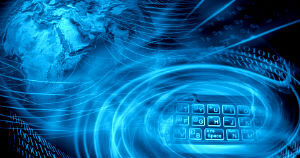 Germany has an internet penetration rate of 87%, equivalent to 72 million people. And finally, one slightly unusual industry has gone online in China: the funeral industry. China has an aging population and the country’s death rate has been rising steadily for the last 15 years, making death an opportunity that some innovative and sensitive companies have decided to seize. Yiko is one such company. It is an ecommerce site that allows users to search for grave plots, compare prices and buy online. It also sells other funeral-related materials such as urns and memorial rings. Its company representatives go into care homes to engage in fun activities, such as singing with residents, and talk openly to them about the funeral options available to them. Its to-the-point and positive approach regarding death seems to be working well, with the company never having needed to seek funding from investors.